4 Hash Mark Fender Racing Stripes. All 4 stripes are 20″ long….The 2 Larger Stripes are 4″ wide and the 2 Smaller Stripes are 3″wide. You will have plenty of material to work with. You will need to trim at fender edge and wheel well. They can be installed wet or dry. 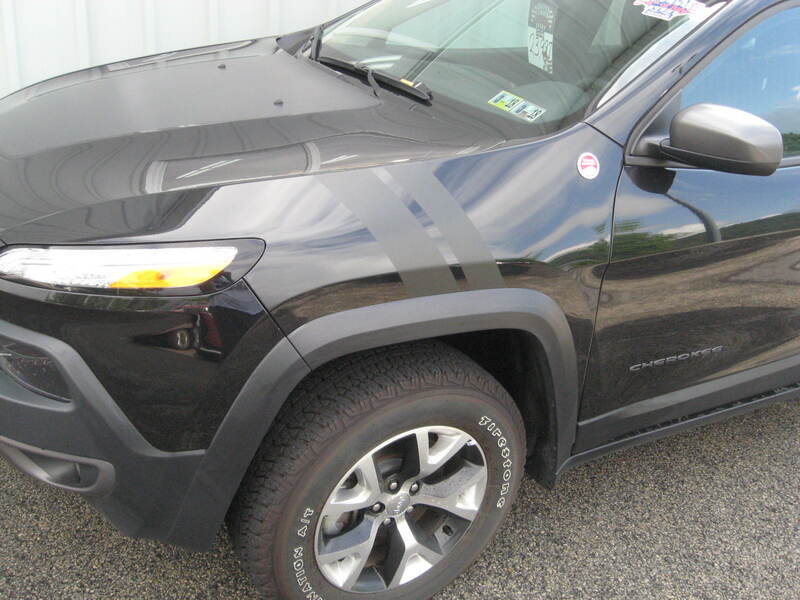 This Kit provides stripes for both the left front fender and right front fender. Installation is peel and stick. Installation instructions will be included. 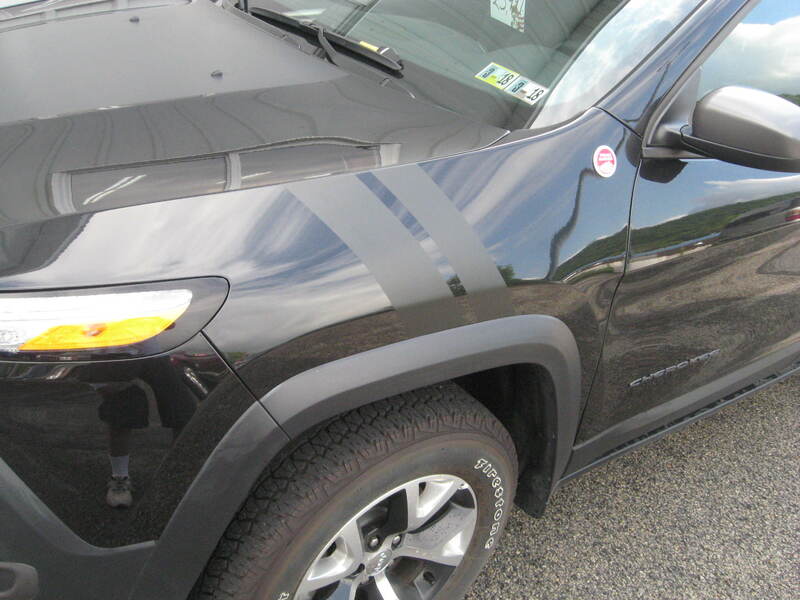 Customize your Jeep with these Awesome Fender Stripes.